Mentorship is a relationship between two individuals to stimulate growth, change, and development in either a personal or professional setting. Mentorship can be formal or informal, it can be tactical or inadvertent, it can be a straightforward allocation of knowledge or it can be a subtle guidance toward understanding in imparted wisdom. In order to engage in mentorship, leaders in the field of case management, need to have a detailed understanding of mentorship. The Mentorship one-day course will engage you and colleagues in understanding what mentorship is, how to cultivate a mentoring environment, assessing and understanding your staff’s skill-sets and talents, promoting open dialog, incorporating mentoring in any work setting, and how to give your staff the tools to become highly effective mentors to others. This portion of the day will begin with an overview of mentoring definitions, goals of mentorship programs, and a thorough discussion of the benefits of mentoring programs. You will view goals from a quantifiable and intangible participant perspective and from a team and organizational perspective. In-depth informal and formal styles of mentoring will be reviewed as well, to help you determine the best fit for mentor-mentee partnerships within your case management team. Finally, you will gain details on how to cultivate a positive mentoring environment including a review of the characteristics and skills needed to be an effective mentor. You will return to your work setting with tools for creating a successful mentorship program, and techniques for getting a program started within your organization. How can you assure success in your team and for your work? In Creating Assurances for Success you will first carry out exercises that will assist in identifying strengths and weakness in your staff. Not only will technical skills be explored, but communication skills, teamwork and collaborative skills, and abilities of your staff to adapt will also be explored. From this, how to build in opportunities for mentoring to augment identified needs will be covered. To help you create an environment where strengths can grow, the next portion of the program helps you develop policies and practices for employees to seek counsel that will build trust, build confidence and respect, and nurture growth and improvement. How to create mentoring partnerships among your team members, even in environments where employees work remotely, will be the concluding portion of this portion of the day. Practicing techniques will be included in this session. Role modeling, a practice people start very early in life, is an important function of professional development. Role models in professional settings are the people who possess the qualities others want to emulate. Role models in the workplace motivate others to work better and be better. A role model is a person who serves as an example and leads by example. More importantly role models are leaders who teach, advocate, and motivate less experienced individuals to be successful. 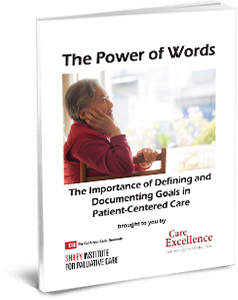 In this section of the day’s activities, defining role modeling and identifying the role of role playing, and its value in the professional case management environment will be your first activities. Then a deep dive into designing and conducting learning approaches that will engage staff, provide them with a framework for putting concepts learned into practice, assure them safety and confidence-building, and will build rapport between your mentors and mentees will be covered. In one deeply engaging day, Mentorship provide you with the tools and structure to create an intentional, successful program for you to assure knowledge transfer from your veteran staff to your newer team members. 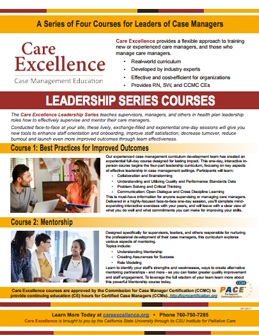 Mentorship has been pre-approved by the Commission for Case Manager Certification (CCMC) to provide 8 hours continuing education credit to Certified Case Managers (CCMs). Mentorship consists of one day of face-to-face training, covering its three modules of lecture and interactive learning. Below are some Fast Facts about this course and its modules. Please call us for more information. Bozeman, B., Feeney, M.K. (2007). Toward a useful theory of mentoring: A conceptual analysis and critique. Administrative and society, 39 (6),719 – 739.